There’s a saying that God never gives us more than we can handle. In most cases, I believe this is true. Today, I am keenly aware that I choose my problems over those around me. I’d much rather be dealing with my lack of heat and generating money for a new heating system, than be looking down the nose of cancer with very little prospects of surviving. I’d much rather be shoveling the dirt out of my 112 year old basement than sitting in a lawyer’s office wondering if I will ever receive justice. Good things happened today; unexpected breakfast with a friend at my favorite place, enough money in our bank account to make the deposit on the new heating system, sweet texts from my baby girl. Thank you, God, for not giving me more than I can handle. Please help my friends. 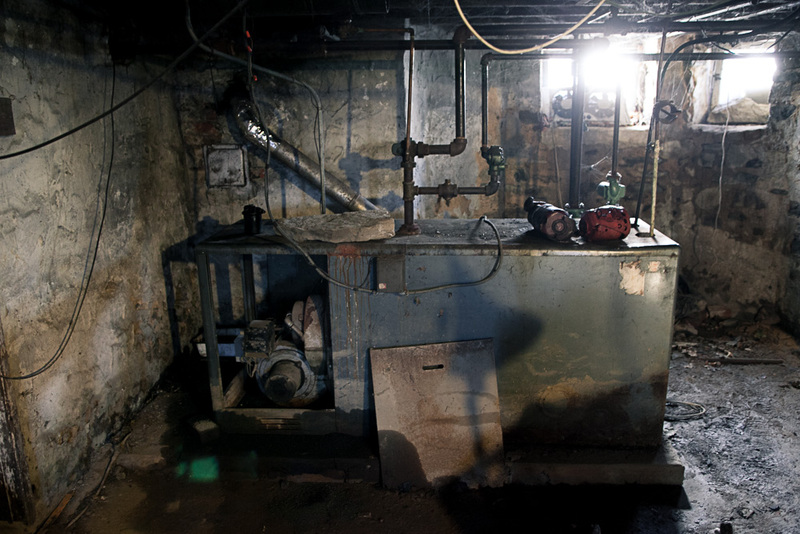 My nemesis, the 60+ year old broken boiler in the scary basement.